Dealer Principal, Louie Herron Writes Powerful Book "Driven By Fire"
Dealer Principal, Louie Herron writes a powerful book on How to do more, be more and achieve more. If you are in the Automotive Sales industry and want to truly take your career to the next level, you must read this book. You will learn how someone went from being lost to getting into car sales, climbed the ladder from Showroom Sales Consultant to Dealer Principal in a short amount of time! You too can achieve profound success and effectiveness. All you have to do is read Louie's book! As an auto dealer, you are probably used to hearing that you should be on Facebook. It gives your brand more visibility, it's an opportunity to connect with customers, and so on. But you might also be frequently reminded that, when it comes to selling cars, Facebook is anything but effective. Experts claim that only a small percentage of car shoppers use social media as part of the car buying process. But what if there was a way to change that? There might be a real solution, and it's called Facebook Offers. Read on to find out more about this new tool, and how it can bring more sales to your dealership. Facebook Offers is one of the ad tools offered by Facebook to owners of business pages. Currently, Facebook is lagging behind Google when it comes to online ads, so Facebook Offers is clearly a way to gain a bigger share of the market. The way Facebook Offers work is very simple. Once your dealership's page has at least 50 likes, you can create an offer, which is exclusive to the people you choose to receive it. It's easy to think of it as a modern version of а direct mail pamphlet, which comes with a 20% discount coupon, for example. You upload a photo with a description of the offer, and you can either put a limit on how many people can claim it or you can make the offer limitless. Then you pick a budget, and depending on the dollar amount you enter, you can get an approximation of how many people will be reached by the ad. But here is by far the best thing about Facebook Offers. 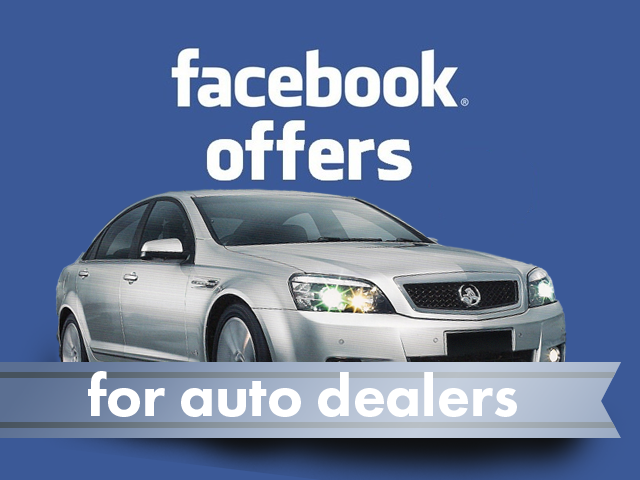 What makes Facebook Offers especially suitable for your dealership is that you can be very specific not just about the number of people, but also the type of people who will receive your offer. Facebook will give you a very specific set of criteria to fill out, with which you can target your specific buyer persona, so your money won't go waste. For example, you can make your offer available only to people with a particular make or model of car, people who have driven the same car for a certain number of years, people who tend to go to dealership with a certain frequency, or many other specifications. Because Facebook is partnering with data brokering companies, the available criteria reach far and wide and can get so specific, that you'd be surprised how useful the results will be! And you don't have to worry about your clients' privacy, because the algorithm works with anonymous data, without revealing their personal information. Target people with cars older than 5 years, and make your discounted cars available only to them through a Facebook Offer. People buy a lot of new cars -- even though not all of them plan to, a tempting offer often makes them change their minds. Offer to do a routine check for free, since your target buyers' vehicles probably have a high mileage by now. How about people who tend to visit service shops rarely? Send them an offer explaining the benefits of regularly changing a car's oil, along with a 25 percent discount if they come to your dealership for an oil change? Or the air filter? The possibilities are many, you just need to be creative. Accompany each offer with a curious educational fact to make it more appealing. Or make a contest on your Facebook page, awarding a Facebook Offer to the winner. And this will have the added benefit of increasing engagement with your page. Facebook Offers is definitely a good way to harness the power of social media for more than just brand-building. If you are not feeling confident about running ad campaigns, you can always use the services of a dealership consultant. Have you used Facebook Offers yet? Was your campaign successful? And what other ways are you using to keep your social media audience engaged? Share your experience by leaving us a comment below. What kind of car did she drive? Why had she chosen that automobile? What did this choice say about her identity? Here's another statistic, culled from her research: "If 74% of women feel that they are misunderstood [by car marketers] but they're influencing up to 95% of our car purchases—that's a huge missed opportunity there," she says. A newer company with some similar aims is Women-drivers.com, which serves as a forum for women to discuss experiences at specific car dealerships. It also offers support for dealers with feedback from women, content for social media and its own market research. 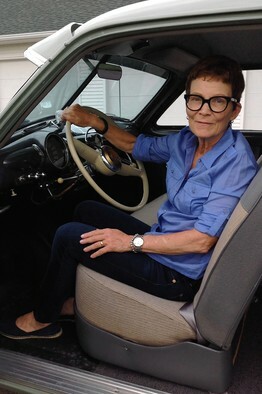 Even before Chief Executive Anne Fleming founded the company in 2013, she had begun compiling her own research on car buying, by sending a questionnaire to some 500 women. 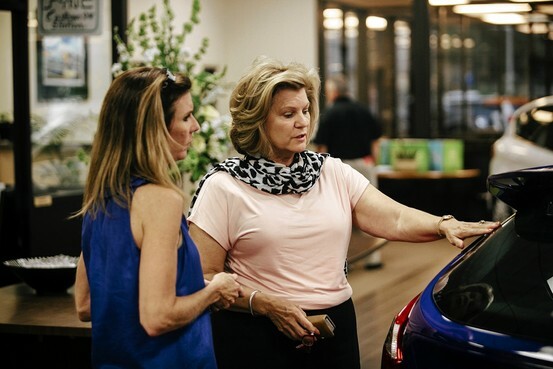 The company's continuing research has found that women visit an average of 1.9 dealerships before buying. And 47.5% of women who bought a new car went to the dealership by themselves. If you aren't, why not? SlideShare provides an opportunity to upload PowerPoint and Keynote slideshow presentations to their website and share them with friends, colleagues and strangers. I know what you're thinking, but I could just email them the presentation! You could, but what about those "strangers" it may seem obsolete for strangers to find your presentations, but what if they're looking for them? With SlideShare you can optimize your presentation settings for great SEO! You can upload presentations on why your dealership is better than others around you, or presentations on specific cars you've got on your lot! You could create a presentation outlining what you're looking for in a specific employee and while people search google for jobs in your area, they'd stumble upon your presentation The possibilities are truly endless! AND while you're poking around the SlideShare website, look for a slideshow (or two) that might be able to teach you something new! Learning should never stop happening, so take advantage of all the free resources possible!